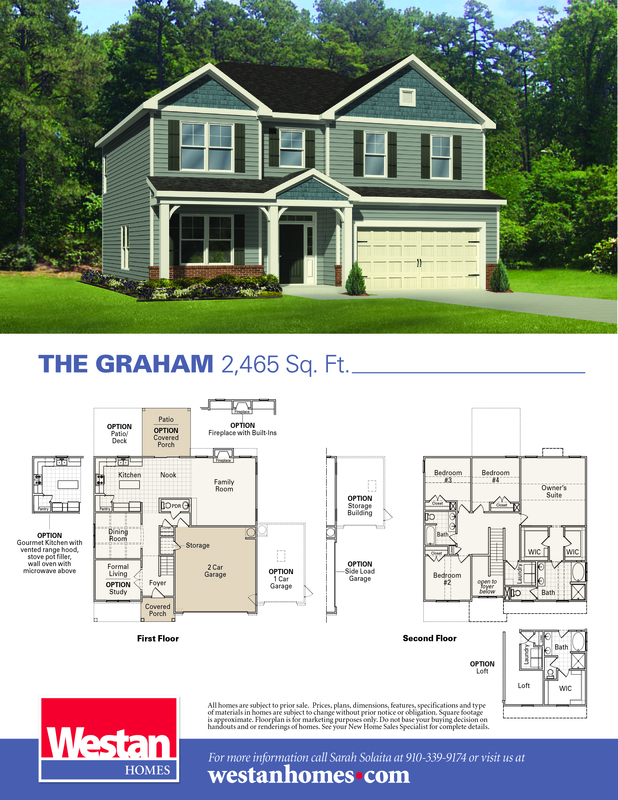 At Westan Homes the Graham plan offers 2,498 square feet of living space. This home has a 2 story foyer, study or flex space and formal dining room with elegant coffered ceiling. A large open kitchen with island overlooks the breakfast nook and large family room. The family room features a fireplace with decorative mantle. Upstairs offers a large owners suite with double vanity, separate tub and shower and huge walk in closet. 3 secondary bedrooms, full bath, bonus/loft and Laundry room finish out the second floor. This home like all Westan homes offers our Bright Ideas such as USB charging station and pull out trash cans!